If you know me, you know that I love to create. My "Things I've Actually Tried" board on Pinterest is getting bigger by the minute. I designed this blog and take pride in making things look pretty. I rarely order pre-made Christmas cards or birth announcements, preferring instead to create them myself. BUT -- when the friendly folks at Minted.com asked me to take a peek at their site and let them know what I thought, I was happy to do it. And WOW. I spent about as much time looking around as I do in any one time-waste session on Pinterest. Everything was just so...beautiful. 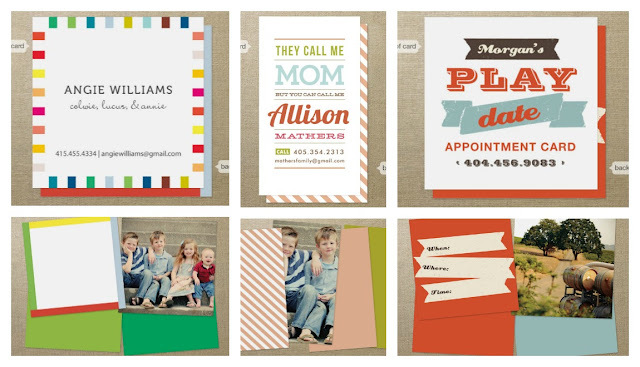 What sets Minted apart from your average invitations and paper goods shop is this: They built their company by organizing "a global community of independent graphic designers" where their best designs are printed and then sold online. And believe me, these are some talented people. Even better? The prices are reasonable and the quality is great. As a blogger, I use business cards to pass out info about my website. 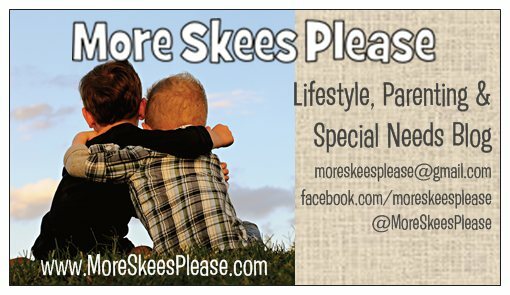 I designed the below a few years back, but since we have added to our family, I have been meaning to order some new cards. This time around I plan to get those from Minted. I mean I've got 3 boys on my hands now...which unfortunately means less time for creative endeavors. 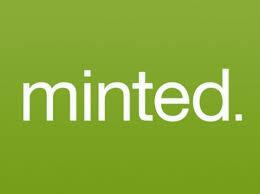 Head on over to Minted.com to check out all they have to offer. 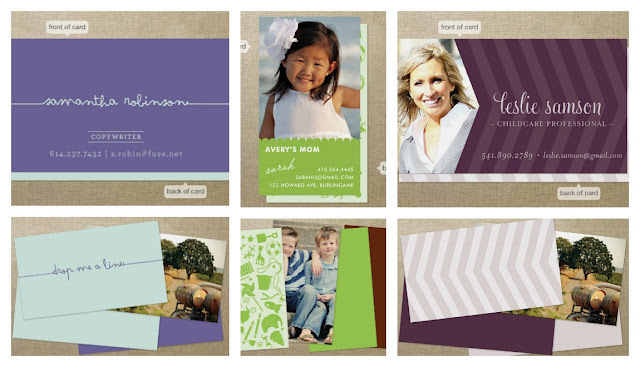 From Wedding Invitations to Birth Announcements -- Business Cards to Personalized Gifts -- Minted.com has you covered! DISCLAIMER -- I WAS GIVEN A CREDIT FOR PERSONAL USE ON MINTED.COM. AS ALWAYS, OPINIONS ARE MY OWN AND 100% GENUINE.